The Cordillera de los Andes is the Earth’s longest, still-growing mountain chain that stretches 7000 km (4300 miles) from Venezuela to Tierra del Fuego along the western edge of South America. Within the range is a staggering number of volcanoes, collectively part of the Andean Volcanic Belt. Chile alone is home to some 500 volcanoes including the world’s highest, the active Ojos del Salado near the Atacama Desert at 6893 metres (22,615 feet). 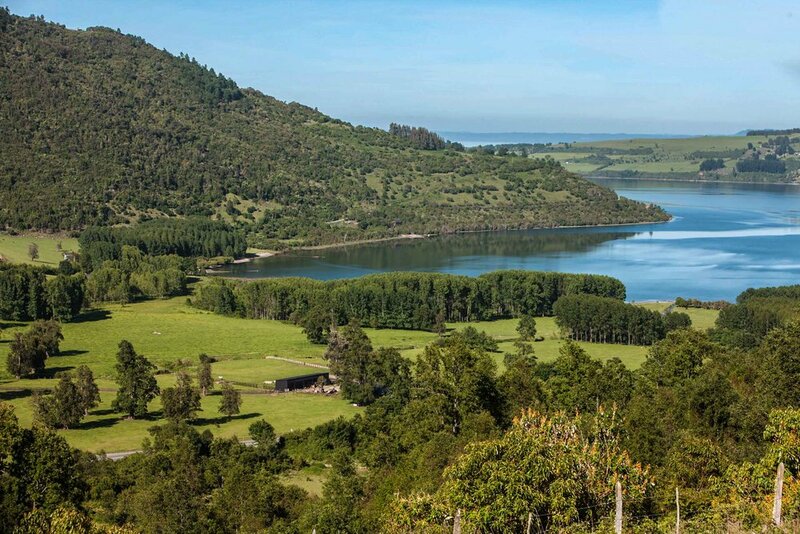 The simply named ‘Southern Volcanic Zone’ (SVZ) is the most active segment of the Andean Belt in Chile, running from Santiago (33ºS) to Patagonia (46ºS) and thus looms over the vast majority of Chile’s considerable vineyard acreage. At least 123 volcanoes are considered active, having erupted at least once in the last 10,000 years. Chile’s last major volcanic event was in 2015, when the energetic stratovolcano Villarica 750 km (460 miles) south of Santiago erupted in mildly explosive fashion.